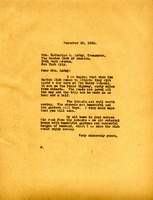 A letter requesting help with arranging pictures for the Berry booth at an upcoming exhibition. Martha Berry finds out that a girl from Atlanta might have been admitted. 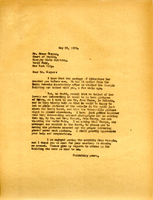 It was Berry's policy at the time not to admit students from Rome or cities larger than Rome, especially those that could pay their own way to Berry. Dr. Fallis says that he is sorry that he was unable to visit Berry when he was in Atlanta, but that he hopes to visit later. 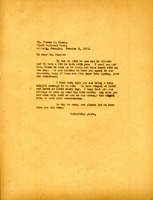 Martha Berry is invited to a dinner at the Greystone Hotel. This dinner will be an event discussing a charity in Europe called the United Appeal for Refugees and Overseas Needs. 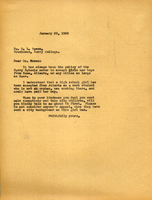 A letter informing Martha Berry of travel plans in order to get to Atlanta from Daytona Beach. 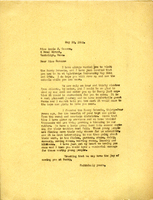 A letter primarily discussing the printing of a picture taken of Mr. Holt, Martha Berry, and Mrs. Crowell in Atlanta. 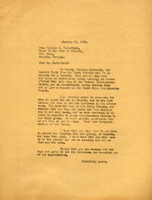 In this letter Martha Berry informs Mayor Hartsfield that the Berry singers will be singing in Atlanta on the 16th and asks if he would donate tickets for the singers to see the Cyclorama. 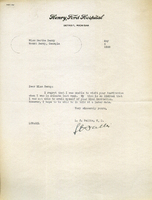 Martha Berry writes to Annie Cannon requesting that she visits the School when she is nearby. 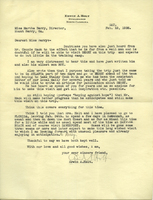 I. J. YM writes to Martha Berry about the possibility of selling handmade goods from the Berry School in the Atlanta Biltmore Hotel. 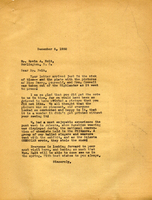 Miss Berry explains the situation with false publicity and the "Ford boom" and asks Mr. Gunby to write an article explaining the situation to Atlanta from the perspective of a Berry graduate. Miss Berry thinks this will be extremely helpful, and asks him not to quote her or say that she asked him to write. 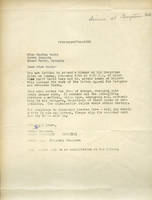 She also asks him to call a meeting of the Atlanta Berry Club to explain the situation Berry is facing. 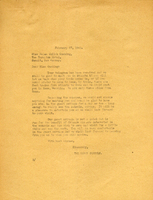 Martha Berry expresses her eagerness for Thomas K. Glenn to visit The Berry Schools. 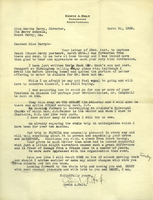 In this letter Martha Berry asks that when the Garden Club of America comes to Atlanta that they stop at the Berry Schools.